Wouldn't it be nice, if we could use buttons instead of coinage as currency once in a while? 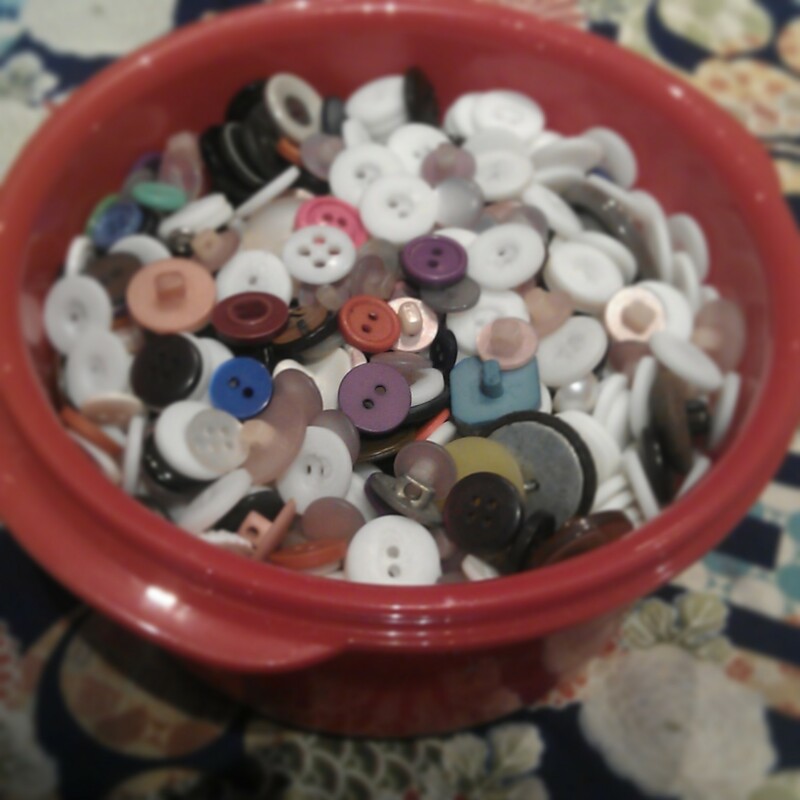 Shiny, colourful, unique little buttons, pretty little things that could be exchanged for something else ..pretty? Well there is such a place where buttons are used as currency, and can be exchanged for something pretty; The Clothing Exchange Australia. After receiving an invite to attend The Clothing Exchange Winter Warmer event last Monday night, I jumped at the chance to swap my unwanted garments, my second time visiting the event. The Clothing Exchange swaps have not changed location, although the name of the venue has changed. 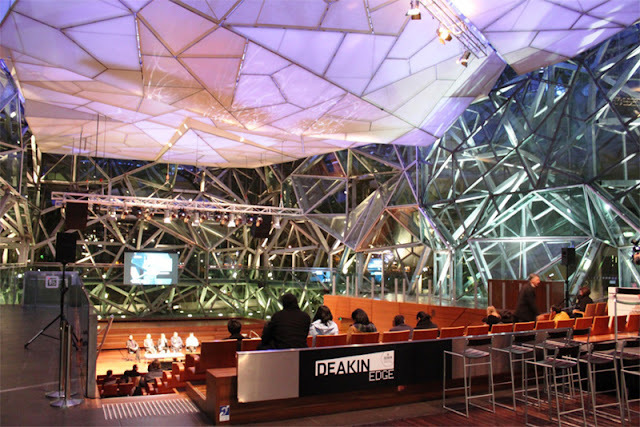 The Deakin Edge, formally BMW Edge, located in the architecturally extravagant glass building in Federation Square on the banks of the Yarra River, offers a magnificent patchwork of windows within the pedestrianised precinct in the heart of this mighty fine city (Melbourne). The auditorium is transformed into a swapping shop, with a stage configuration, staggered seating and large theatre space. Numerous clothing rails and hangers are ready to display fashion pieces. The mechanics of the night are quite simple; bring up to 6 items of good quality clothing and / or accessories, which are exchanged for buttons to be used as currency to swap one-for-one with an item you prefer. Arrival is recommended for 6:30pm, allowing half an hour for volunteers to display clothing and accessories prior to the big swap which commences at 7pm. I shall not lie, it is a mad dash when the swap begins, however it is also recommended to hold back and wait for the rush to die down. Once clothes are tried on for size, many decide a piece is not for them, returning it back to the clothing rack. I quickly picked 4 pieces that I would take home, but did not try on for size. My reasoning is, that if any did not fit or suit, it would not matter, I would donate to the op shop at a later stage. Taking home at least one piece that I would get wear out of, would be better than the 4 items unworn items I bought with me to swap. 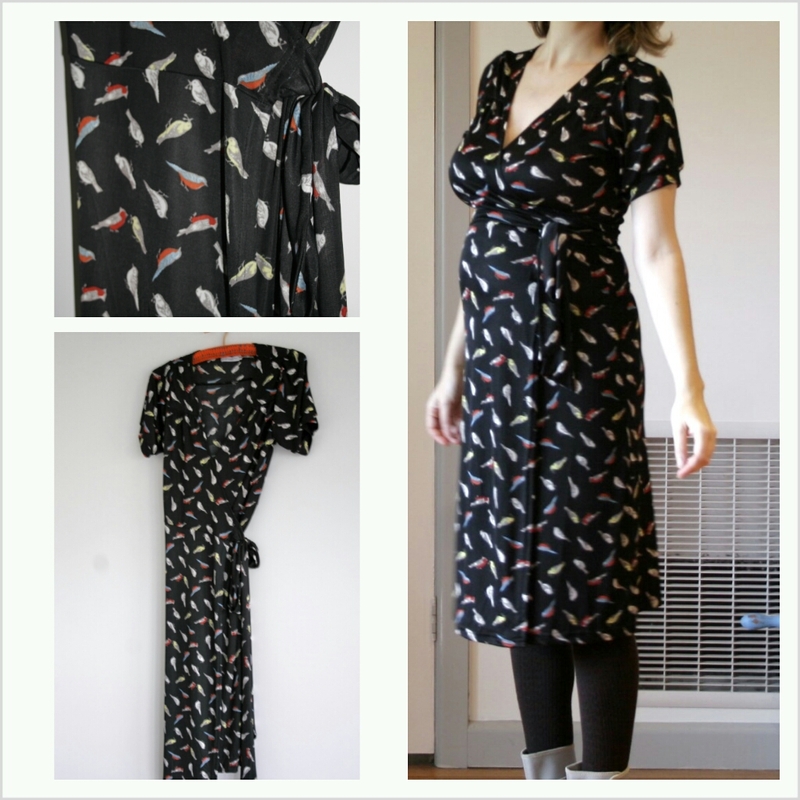 I did find a special item for a button; a beautiful bird print wrap frock. Wrap dresses are fantastic for pregnancy, as they can adjust to the appropriate belly size. I was impressed by the quality of clothes at Monday's swap; a high volume of vintage and higher end labels, and not so much fast fashion brands. "I'm so happy with the jacket! I only found 3 things but it was worth it for the jacket alone" Rhi, The Clothing Exchange ticket giveaway winner. We often hear the phrase "one man's trash is another man's treasure", without emphasis on the 'trash' the same concept works for clothing, many of us hoard unworn garments in our wardrobe, that other people may wear more. That's why clothing swaps are great! There is another Clothing Exchange coming up in September (date TBC), and October 28 is the national swap day - the big one! To find out more, check out The Clothing Exchange website. 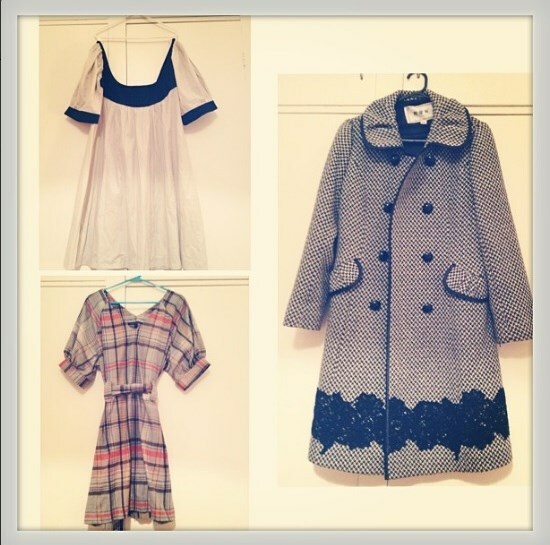 Wonderful pieces here! I love the wrap dress. It was a great night. The dress really suits you, and it's great you can keep wearing it. Most unfortunately, the lovely cropped jacket I got with the faux fur lined hood got slightly melted. Some one left it too close to the heater (I don't do the washing at my place, so I'm sure you can guess who!). Grr.